Roger L Pickett, D.C., is a chiropractor located in Oklahoma City, OK. Take the next step and contact Dr. Roger L Pickett, D.C., for a consultation in Oklahoma City, OK or to get more information. Kyle W. Muse, D.C., is a chiropractor located in Oklahoma City, OK. Techniques: • Diversified • Activator Methods • Trigger Point Therapy • Thompson • Flexion-Distraction • Gonstead Take the next step and contact Dr. Kyle W. Muse, D.C., for a consultation in Oklahoma City, OK or to get more information. Debora K Balfour, D.C., is a chiropractor located in Oklahoma City, OK. Take the next step and contact Dr. Debora K Balfour, D.C., for a consultation in Oklahoma City, OK or to get more information. James Bugg, D.C., is a chiropractor located in Oklahoma City, OK. Techniques: • Diversified • Gonstead • Sacro Occipital Technique • Activator Methods Take the next step and contact Dr. James Bugg, D.C., for a consultation in Oklahoma City, OK or to get more information. timothy A Puckett, D.C., is a chiropractor located in Oklahoma City, OK. Take the next step and contact Dr. timothy A Puckett, D.C., for a consultation in Oklahoma City, OK or to get more information. A V Guadagno, D.C., is a chiropractor located in Oklahoma City, OK. Techniques: • Applied Kinesiology Take the next step and contact Dr. A V Guadagno, D.C., for a consultation in Oklahoma City, OK or to get more information. John L Rains, D.C., is a chiropractor located in Oklahoma City, OK. Techniques: • Diversified Take the next step and contact Dr. John L Rains, D.C., for a consultation in Oklahoma City, OK or to get more information. Marcus B Favorite, D.C., is a chiropractor located in Oklahoma City, OK. Take the next step and contact Dr. Marcus B Favorite, D.C., for a consultation in Oklahoma City, OK or to get more information. Steven W Duffy, D.C., is a chiropractor located in Oklahoma City, OK. Techniques: • Diversified • Thompson • Activator Methods Take the next step and contact Dr. Steven W Duffy, D.C., for a consultation in Oklahoma City, OK or to get more information. E Brooks, D.C., is a chiropractor located in Oklahoma City, OK. Take the next step and contact Dr. E Brooks, D.C., for a consultation in Oklahoma City, OK or to get more information. Thong Vavannarath, D.C., is a chiropractor located in Oklahoma City, OK. Take the next step and contact Dr. Thong Vavannarath, D.C., for a consultation in Oklahoma City, OK or to get more information. Nathan D Schacter, D.C., is a chiropractor located in Oklahoma City, OK. Techniques: • Diversified • Gonstead • Thompson Take the next step and contact Dr. Nathan D Schacter, D.C., for a consultation in Oklahoma City, OK or to get more information. Jerry L Johnson, D.C., is a chiropractor located in Oklahoma City, OK. Techniques: • Diversified Take the next step and contact Dr. Jerry L Johnson, D.C., for a consultation in Oklahoma City, OK or to get more information. Scott G Schuck, D.C., is a chiropractor located in Oklahoma City, OK. Take the next step and contact Dr. Scott G Schuck, D.C., for a consultation in Oklahoma City, OK or to get more information. Cecil F Welch, D.C., is a chiropractor located in Oklahoma City, OK. Techniques: • Pierce Stillwagon Technique • Thompson • Gonstead • Logan Basic • Nimmo • Palmer Package Take the next step and contact Dr. Cecil F Welch, D.C., for a consultation in Oklahoma City, OK or to get more information. Chris Stotts, D.C., is a chiropractor located in Oklahoma City, OK. Take the next step and contact Dr. Chris Stotts, D.C., for a consultation in Oklahoma City, OK or to get more information. Tamatha Rowe, D.C., is a chiropractor located in Oklahoma City, OK. Take the next step and contact Dr. Tamatha Rowe, D.C., for a consultation in Oklahoma City, OK or to get more information. H Leslie Conklin, D.C., is a chiropractor located in Oklahoma City, OK. Take the next step and contact Dr. H Leslie Conklin, D.C., for a consultation in Oklahoma City, OK or to get more information. Ronald C Goat, D.C., is a chiropractor located in Oklahoma City, OK. Techniques: • Activator Methods • Gonstead • Palmer Package • Diversified Take the next step and contact Dr. Ronald C Goat, D.C., for a consultation in Oklahoma City, OK or to get more information. James V Pertree, D.C., is a chiropractor located in Oklahoma City, OK. Techniques: • Diversified • Activator Methods • Traction • Thompson • Gonstead • Manual Adjusting • Pinnacle • acupuncture Take the next step and contact Dr. James V Pertree, D.C., for a consultation in Oklahoma City, OK or to get more information. Amanda K Muse, D.C., is a chiropractor located in Oklahoma City, OK. Techniques: • Diversified • Myofascial • Activator Methods • Thompson • Flexion-Distraction • Trigger Point Therapy Take the next step and contact Dr. Amanda K Muse, D.C., for a consultation in Oklahoma City, OK or to get more information. Carol A Dorow, D.C., is a chiropractor located in Oklahoma City, OK. Take the next step and contact Dr. Carol A Dorow, D.C., for a consultation in Oklahoma City, OK or to get more information. Geneva Leann Ricano, D.C., is a chiropractor located in Oklahoma City, OK. Techniques: • Upper Cervical • Network • Total Body Modification • Sacro Occipital Technique • Nimmo Take the next step and contact Dr. Geneva Leann Ricano, D.C., for a consultation in Oklahoma City, OK or to get more information. 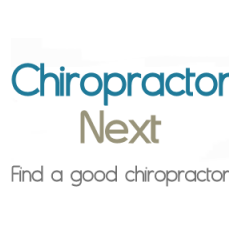 John D Chiaf, D.C., is a chiropractor located in Oklahoma City, OK. Take the next step and contact Dr. John D Chiaf, D.C., for a consultation in Oklahoma City, OK or to get more information. Cody Elledge, D.C., is a chiropractor located in Oklahoma City, OK. Techniques: • Auricular • Acupuncture • Auriculotherapy Take the next step and contact Dr. Cody Elledge, D.C., for a consultation in Oklahoma City, OK or to get more information. Kevin L Jones, D.C., is a chiropractor located in Oklahoma City, OK. Techniques: • Diversified • Gonstead • Thompson • Activator Methods • Active Release Technique • Trigger Point Therapy Take the next step and contact Dr. Kevin L Jones, D.C., for a consultation in Oklahoma City, OK or to get more information. Michael A Chiaffitelli, D.C., is a chiropractor located in Oklahoma City, OK. Take the next step and contact Dr. Michael A Chiaffitelli, D.C., for a consultation in Oklahoma City, OK or to get more information. Betty E Ownbey, D.C., is a chiropractor located in Oklahoma City, OK. Techniques: • Activator Methods Take the next step and contact Dr. Betty E Ownbey, D.C., for a consultation in Oklahoma City, OK or to get more information. Jospeh Hoang, D.C., is a chiropractor located in Oklahoma City, OK. Take the next step and contact Dr. Jospeh Hoang, D.C., for a consultation in Oklahoma City, OK or to get more information. Robert W Baker, D.C., is a chiropractor located in Oklahoma City, OK. Take the next step and contact Dr. Robert W Baker, D.C., for a consultation in Oklahoma City, OK or to get more information. Michael B Rowe, D.C., is a chiropractor located in Oklahoma City, OK. Take the next step and contact Dr. Michael B Rowe, D.C., for a consultation in Oklahoma City, OK or to get more information. Frank Ungerland, D.C., is a chiropractor located in Oklahoma City, OK. Take the next step and contact Dr. Frank Ungerland, D.C., for a consultation in Oklahoma City, OK or to get more information. M Dean Conklin, D.C., is a chiropractor located in Oklahoma City, OK. Take the next step and contact Dr. M Dean Conklin, D.C., for a consultation in Oklahoma City, OK or to get more information. Rachel J Aceves, D.C., is a chiropractor located in Oklahoma City, OK. Techniques: • Sacro Occipital Technique • Manual Adjusting Take the next step and contact Dr. Rachel J Aceves, D.C., for a consultation in Oklahoma City, OK or to get more information. Lonnie Litchfield, D.C., is a chiropractor located in Oklahoma City, OK. Techniques: • Diversified • Gonstead Take the next step and contact Dr. Lonnie Litchfield, D.C., for a consultation in Oklahoma City, OK or to get more information. Philip R Martinez, D.C., is a chiropractor located in Oklahoma City, OK. Techniques: • Activator Methods • Thompson • Diversified • Gonstead • Logan Basic Take the next step and contact Dr. Philip R Martinez, D.C., for a consultation in Oklahoma City, OK or to get more information. Randall Schubert, D.C., is a chiropractor located in Oklahoma City, OK. Take the next step and contact Dr. Randall Schubert, D.C., for a consultation in Oklahoma City, OK or to get more information. Jim R Muse, D.C., is a chiropractor located in Oklahoma City, OK. Techniques: • Logan Basic • Diversified Take the next step and contact Dr. Jim R Muse, D.C., for a consultation in Oklahoma City, OK or to get more information. Dustin E. Schmidt D.C., D.C.
Dustin E. Schmidt D.C., D.C., is a chiropractor located in Oklahoma City, OK. Techniques: • Activator Methods • Diversified • Gonstead • Manual Adjusting • Thompson Take the next step and contact Dr. Dustin E. Schmidt D.C., D.C., for a consultation in Oklahoma City, OK or to get more information. Rick Wiersig, D.C., is a chiropractor located in Oklahoma City, OK. Techniques: • Diversified • Palmer Package • Cox • Flexion-Distraction • Nimmo Take the next step and contact Dr. Rick Wiersig, D.C., for a consultation in Oklahoma City, OK or to get more information. Joseph F Radel, D.C., is a chiropractor located in Oklahoma City, OK. Techniques: • Diversified Take the next step and contact Dr. Joseph F Radel, D.C., for a consultation in Oklahoma City, OK or to get more information. James A Maker II, D.C.
James A Maker II, D.C., is a chiropractor located in Oklahoma City, OK. Take the next step and contact Dr. James A Maker II, D.C., for a consultation in Oklahoma City, OK or to get more information. Hai T Tien, D.C., is a chiropractor located in Oklahoma City, OK. Take the next step and contact Dr. Hai T Tien, D.C., for a consultation in Oklahoma City, OK or to get more information. A D Larsen, D.C., is a chiropractor located in Oklahoma City, OK. Techniques: • Hole in One Take the next step and contact Dr. A D Larsen, D.C., for a consultation in Oklahoma City, OK or to get more information. Nathan D Shacter, D.C., is a chiropractor located in Oklahoma City, OK. Take the next step and contact Dr. Nathan D Shacter, D.C., for a consultation in Oklahoma City, OK or to get more information. Renee Marshall-Garlett, D.C., is a chiropractor located in Oklahoma City, OK. Techniques: • Diversified • Thompson • Gonstead • Sacro Occipital Technique Take the next step and contact Dr. Renee Marshall-Garlett, D.C., for a consultation in Oklahoma City, OK or to get more information.